There will be a multiplayer beta for Mass Effect: Andromeda, and you can sign up for it now. Yesterday was N7 Day, and that meant that we got some new details about Mass Effect: Andromeda including a cinematic trailer. We also learned that loyalty missions will be included in the new title, even if they aren't as central to the experience as they were in previous games. There was also a brief mention of the game's multiplayer, which producer Fernando Melo expanded on a bit on Twitter. He said that if you liked the multiplayer in Mass Effect 3, "you should feel right at home." More interesting was the mention shortly thereafter that you can now sign up for the chance to try out the multiplayer beta and offer your feedback. Melo went on to say in a subsequent tweet that Andromeda's multiplayer wouldn't be as tied into single-player as Mass Effect 3's was. There's also a disappointing note: there's no planned multiplayer beta for PC. If you're looking to get signed up for the beta, you need to head over to the Bioware Beacon site. 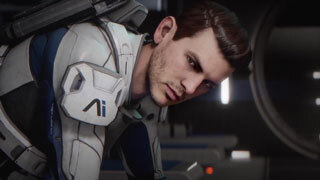 Mass Effect: Andromeda is scheduled to release in the Spring of 2017.